Tequila is serious stuff at Maria's New Mexican Kitchen. Santa Fe's institution for traditional northern New Mexican food pairs classics like Steak and Chile Relleno with nearly 100 different varieties of tequila. 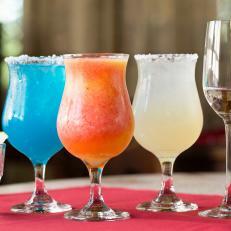 Sip them straight or shake up a "real" margarita with fresh squeezed juice.